Type your Bangkok Airways Cargo tracking number below, get live delivery information with our express tracking system. 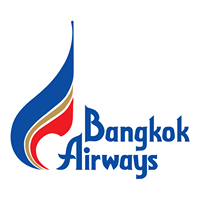 Bangkok Airways Co., Ltd.s a regional airline based in Chatuchak District, Bangkok, Thailand. It operates scheduled services to destinations in Thailand, Cambodia, China, Hong Kong, Laos, Maldives, Burma, India and Singapore. Its main base is Suvarnabhumi Airport, Bangkok. Bangkok Airways is currently an official sponsor of Lampang. If you have problem with our express tracking system, please track your package directly on the Bangkok Airways Cargo website. If you get no tracking information from Bangkok Airways Cargo official website, you’d better contact them. If you have problem with our Bangkok Airways Cargo Tracking system, submit your problem here, we will help you as soon as possible. Declare: We can NOT contact carrier or others on your behalf, we can only help you track your package with your Bangkok Airways Cargo tracking number on official tracking system.